Accurate test data improves application development and testing quality, which is why the most demanding application development teams require that their test data be populated from production databases frequently. 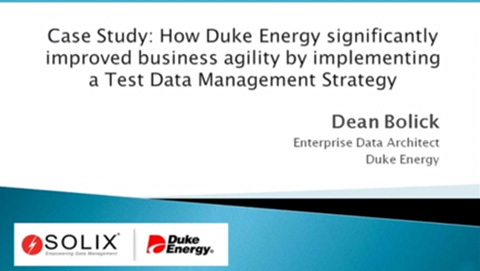 It is not unusual for a Test Data Management (TDM) program to maintain six to eight full clones/copies of the production database for use as test and development instances. 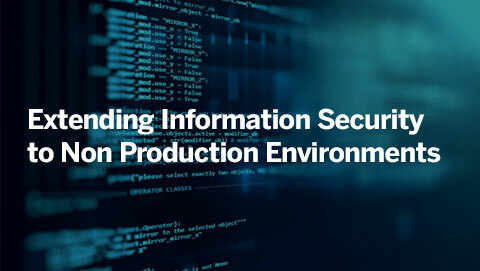 Without proper automation, provisioning test data is not only inefficient, time-consuming and storage intensive but it could also potentially expose sensitive data to unauthorized personnel leading to compliance risks. Since the cloning process creates such resource drain and data governance challenges, test and development databases are often not refreshed frequently enough resulting in inaccurate test results or even test failures. And of course, the cost of application development increases as the errors are discovered later in the application development lifecycle. 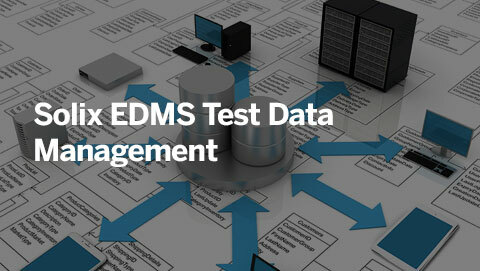 Solix Test Data Management solution addresses all of the challenges mentioned above. It automates the creation of intelligently sized database subsets (not clones), that save up to 80% on storage space while still providing a syntactically correct copy of the production database needed to achieve the most accurate test results. Solix Test Data Management also features our Data Masking capability which helps DevOps teams to quickly identify sensitive data in the subsets and apply format preserving masking to ensure compliance and to protect against data breach. The configurator feature helps define application metadata and subset creation policies once, and leverage them repeatedly to make the process of creating different sized subsets and copies efficient. The configurator maintains relational integrity during the creation of subsets so that the resulting subsets are completely functional with transactional data intact. Define and apply format preserving masking policies to secure sensitive data such as PII, PHI, PCI or financial information in the subsets to enable safe use of production data. Helps meet compliance goals and protect against unauthorized access to all kinds of confidential information. The out-of-box application awareness for popular pre-packaged applications helps create test ready secure subsets and clones quickly and efficiently. The Solix’s Configurator can be used to populate the metadata for custom extensions or custom developed applications. An integrated Oracle E-Business Suite Cloning Process is also available for cloning application and database technology stacks for Oracle users. Offers multiple test data generation rules to create subsets that contain all the characteristics of production data, but with none of the sensitive data. This sophisticated way of generating test data allows for the creation of smaller test data subsets in a repeatable manner without ever touching the production data and without compromising data security. Provides multiple subset functions, including truncate, delete and insert, for selecting the best subset of data based on the desired subset volumes. Includes integrated space reclamation routines to automate the resizing process for reducing the overall database size and to free up disk space for repurposing. Solix Secure Test and Development was critical to the successful separation of highly sensitive data. It ensured the integrity of our database and applications and saved valuable time.